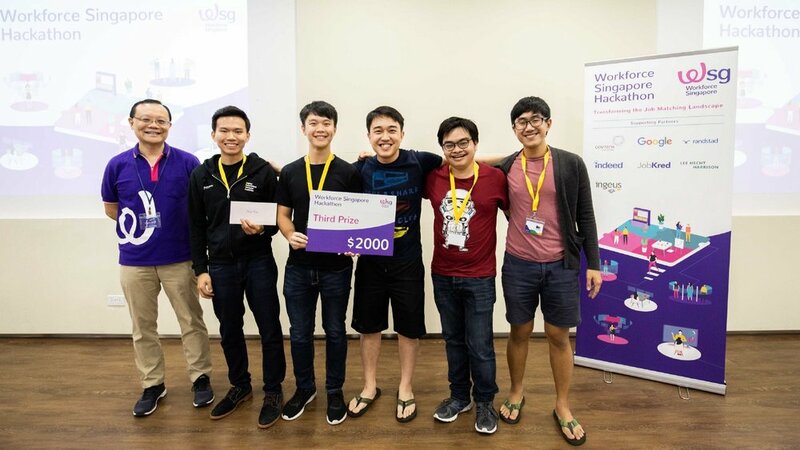 Held from 7 to 9 September, the Workforce Singapore Hackathon looked to re-imagine the process of job matching between employers and job-seekers in Singapore. We examined current trends in job matching and asked how we could make it easier for job-seekers to find fulfilling careers, and for employers to find the best talent for their business. It was an exciting weekend filled with amazing people from different backgrounds and expertise. We had designers, tech developers, human resource professionals, students, and entrepreneurs — all ready to contribute their perspectives to build solutions for Singapore’s future workforce! On Friday (Day 1), experts from the industry including Martin Tan from the Halogen Foundation and Simon Tan from Ingeus joined us to share more about the latest trends and issues of job matching in Singapore. It was also an opportunity for individuals to pitch their ideas and form their teams. A total of 24 teams consisting of 94 participants dived right into ideation and hacking for the whole of Saturday (Day 2). From design sprints to mentor consultations, teams received advice on their solutions and how else they could refine them before the big pitch. It was a productive day of working and building prototypes! Team TBG created a platform that connects employer and employee anonymously so that employer enquire more about candidate and limit their response. Just by using Whatsapp, job seekers are able to get the latest available jobs and match them to the right employers in a simple and quick manner! Team Cubrick developed an app that acts as a HR Manager to help SMEs to showcase their brand story and attract the best talent to join them. Team StaffMany built a mobile app that enables trustworthy hiring of blue collar workers, based on attributes crucial for their roles. Thank you to all participants for putting in your time and skills during this weekend. It was a great experience seeing talented and enthusiastic people in room together co-create practical solutions that would benefit both employers and candidates alike. We hope you had an awesome time collaborating and learning with everyone! We look forward to seeing you in the next hackathon.